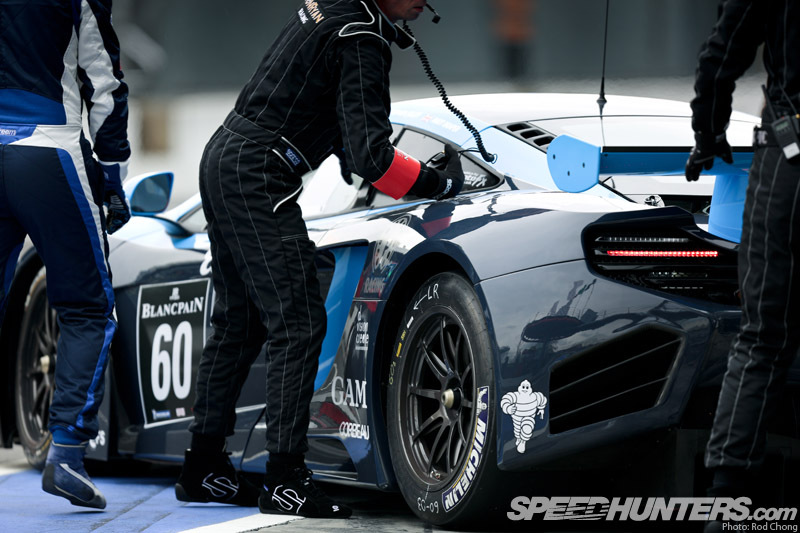 … My senses have become wrapped up by the finest in European GT Endurance racing. And it’s currently hard to think of anything else. 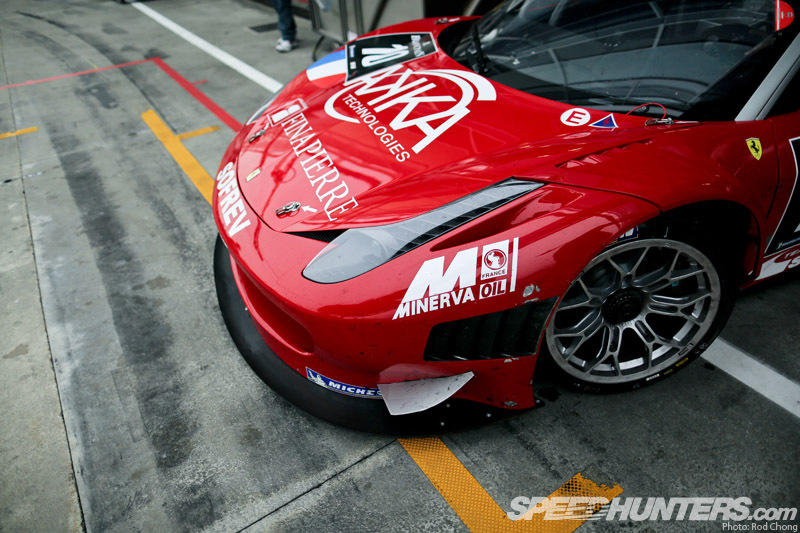 I would never say that GT racing is better than drifting – nor the opposite either. I love them both with equal measure, for different reasons. 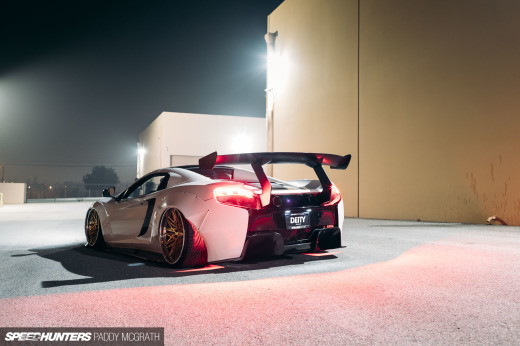 But seriously… just look at these cars! 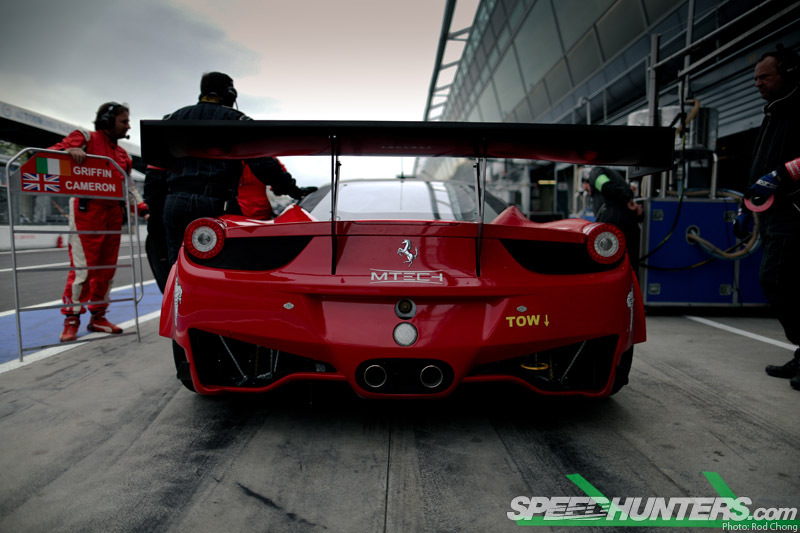 There’s a strong reason why we keep returning back to GT cars on the pages of Speedhunters. 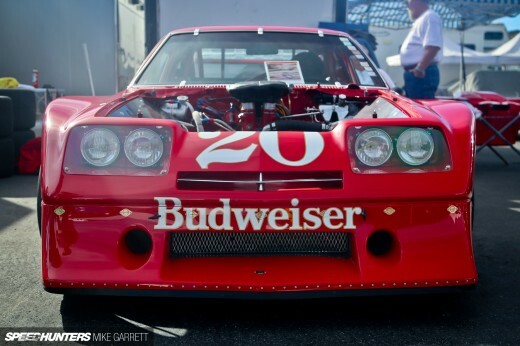 These are the racing versions of the world’s most desirable cars. 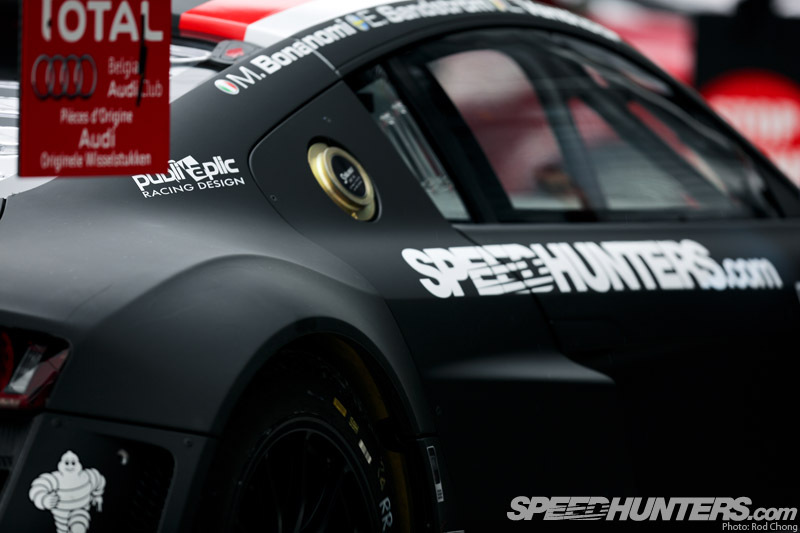 And them being on the pages of this website is exactly what makes Speedhunters what it is. We are committed to showcasing as many of what we think are the world’s coolest cars, events and scenes. 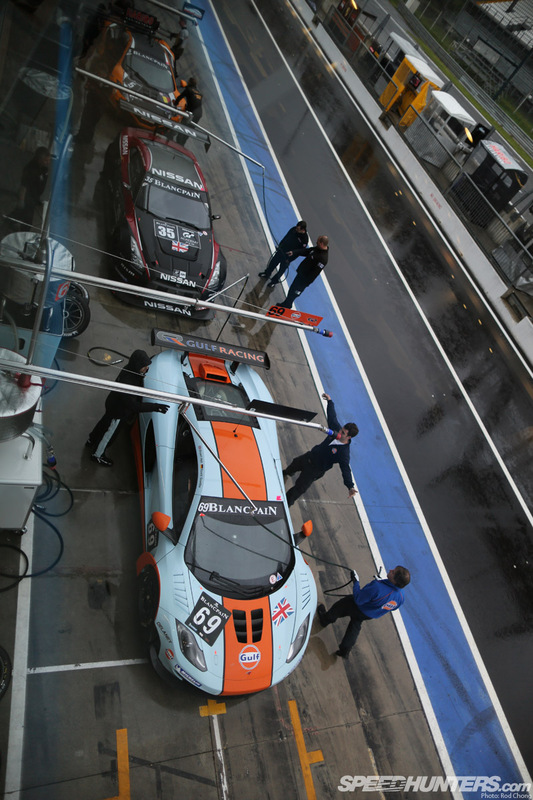 This weekend Jonathan Moore and I will be reporting from round one of the Blancpain Endurance Series. 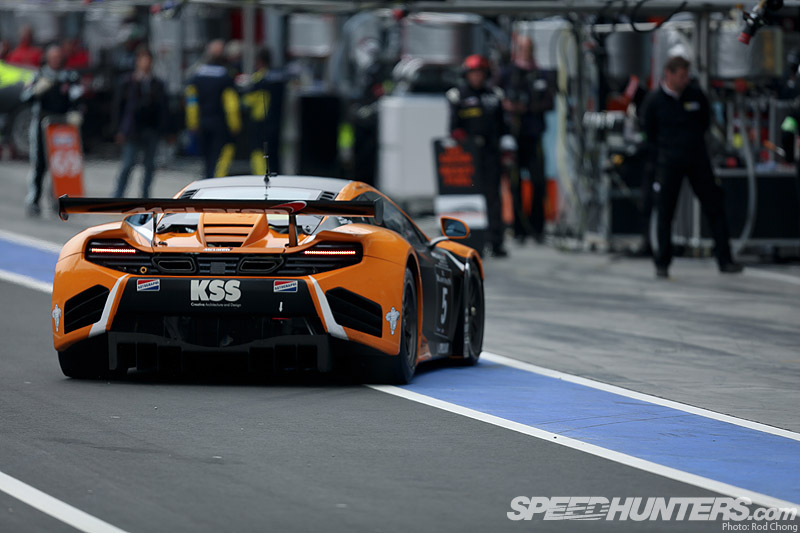 We will not only showcase all the mouth-watering exotic machinery on offer, but will also be looking at Monza itself in detail. 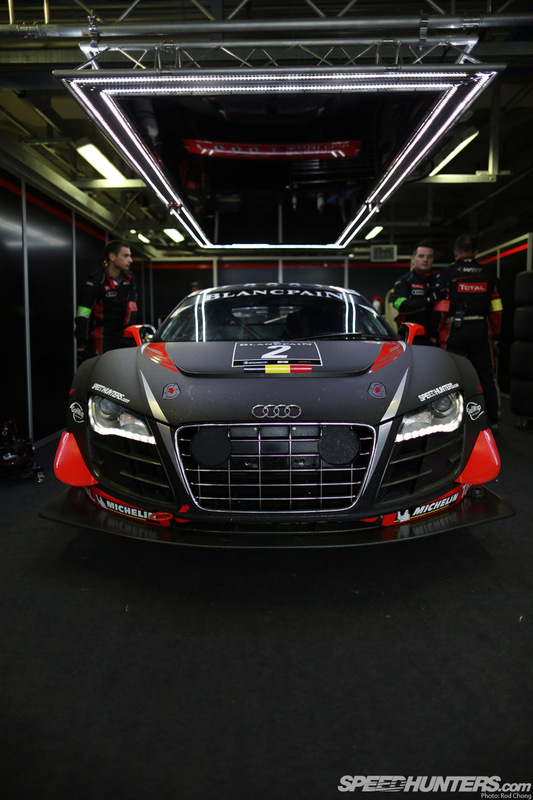 We’ll also be starting to work with our new collaborators, Team WRT and their stable of Audi R8 LMS Ultras. 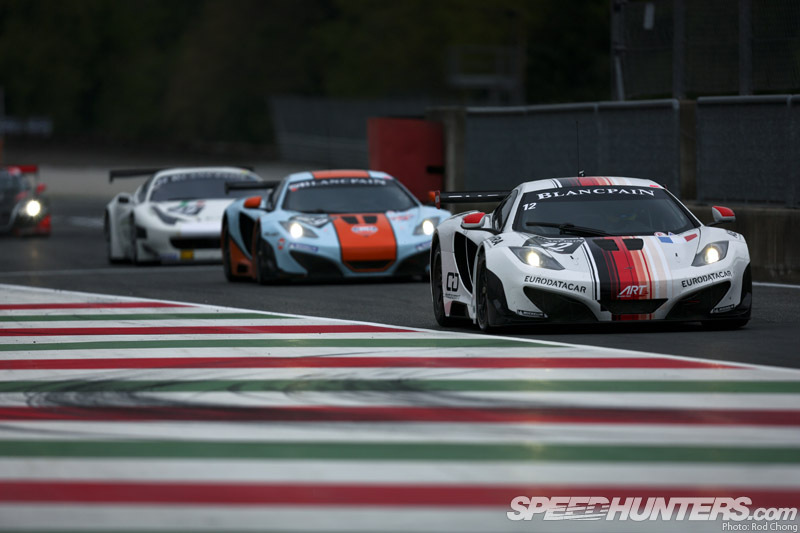 The team is coming off a big weekend in the World GT1 Championship, where they dominated the proceedings and cleaned up at round one in Nogaro, France. When we caught up with them at the end-of-day prequalifying session, things weren’t going quite so well though. 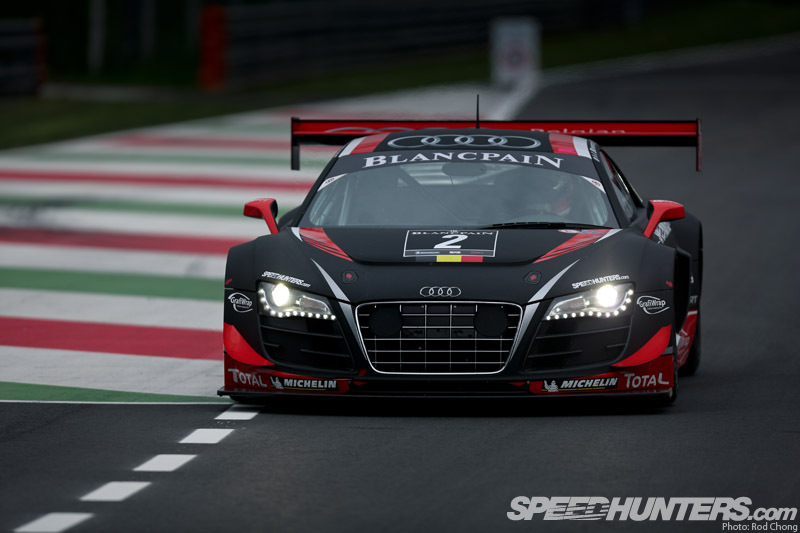 The R8 LMS wasn’t coping with the high-speed, low-downforce needs of Monza and was off the pace of the front runners. 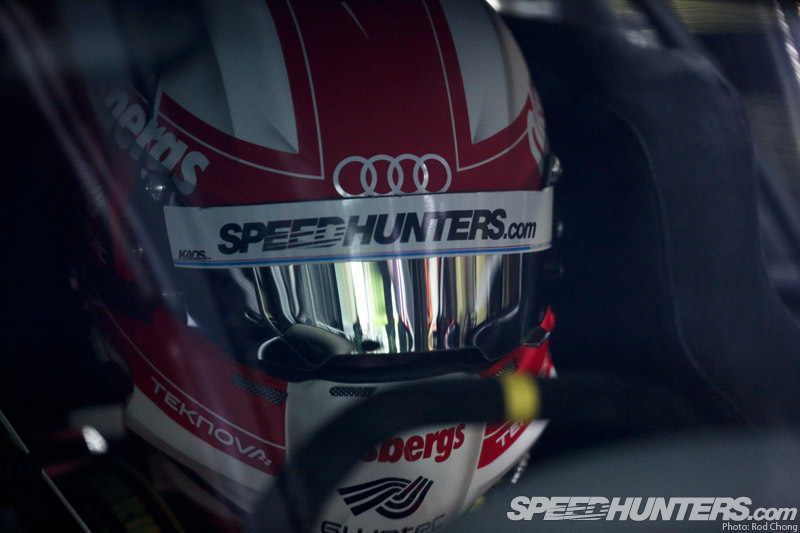 I exchanged glances with fellow Speedhunter Edward Sandstrom, but decided not to distract him. This is his work environment after all, so best to let him get on with things. Soon he was back out, pounding the latest setup, so I decided to look around my immediate surroundings. I set myself up at the entrance to the pitlane to watch the constant stream of cars coming by. 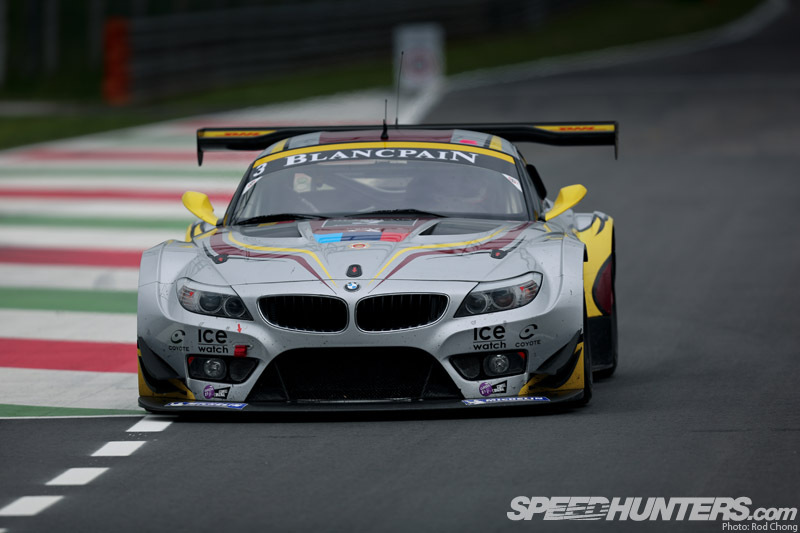 One of the Marc VDS BMW Z4s came thundering past. 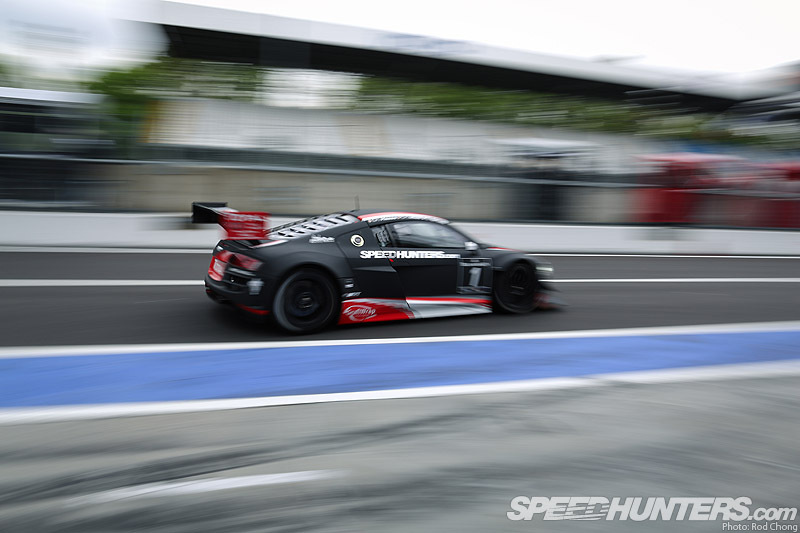 I’m so used to seeing this chassis in the Team Need For Speed livery that it’s almost confusing to see it in other colours. The 458 Italia must be one of the most beautiful cars in the world right now. I can’t stop taking pictures of them! 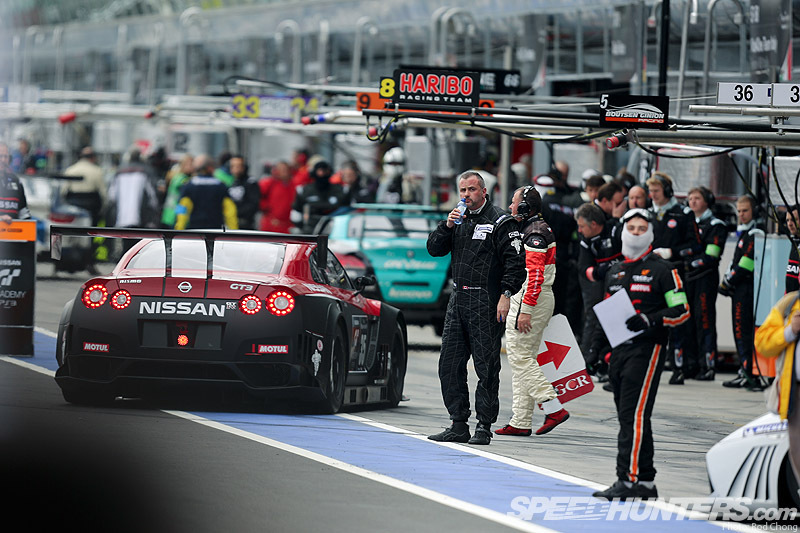 Sunday will be the first time I see the Nissan GT-R Nismo GT3 in racing in anger. 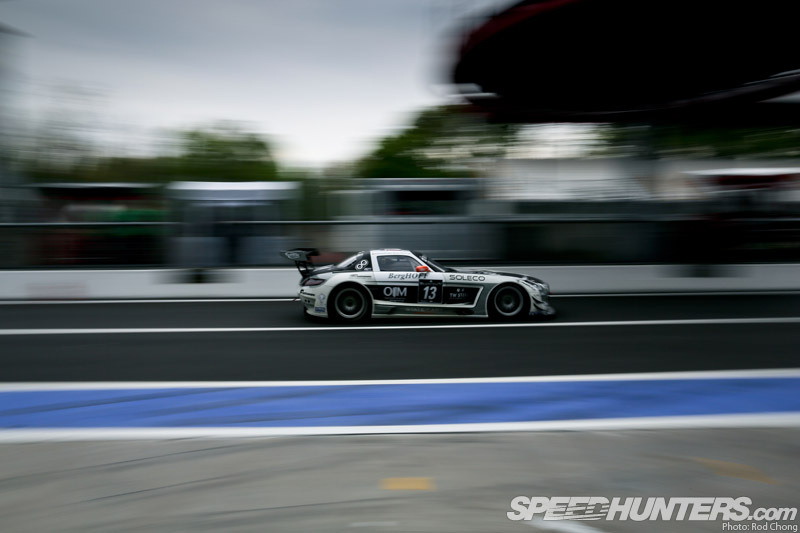 My first impression from seeing it in the pitlane is just how large a car it is compared to most of the other machines, save the Mercedes SLS. It really does look like quite a big car. I won’t say more though until I go trackside. 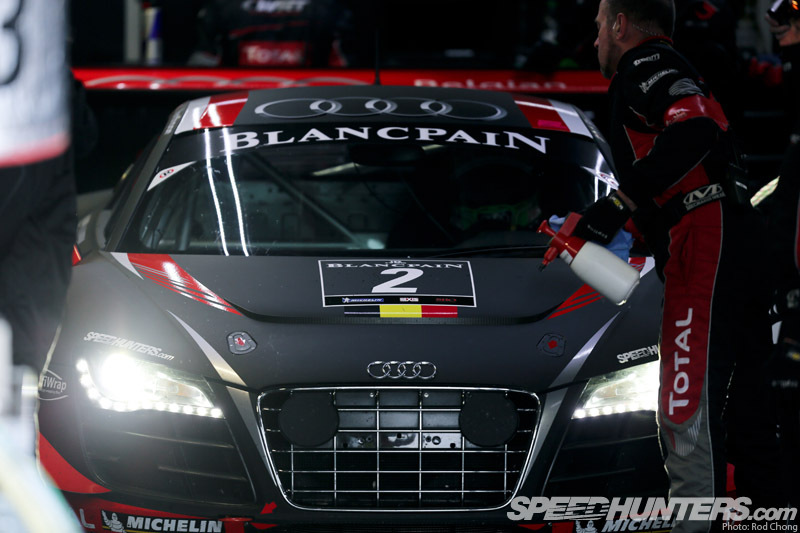 As for us, we also seemed to have a lot of work to do to get the R8s to the front of the grid. 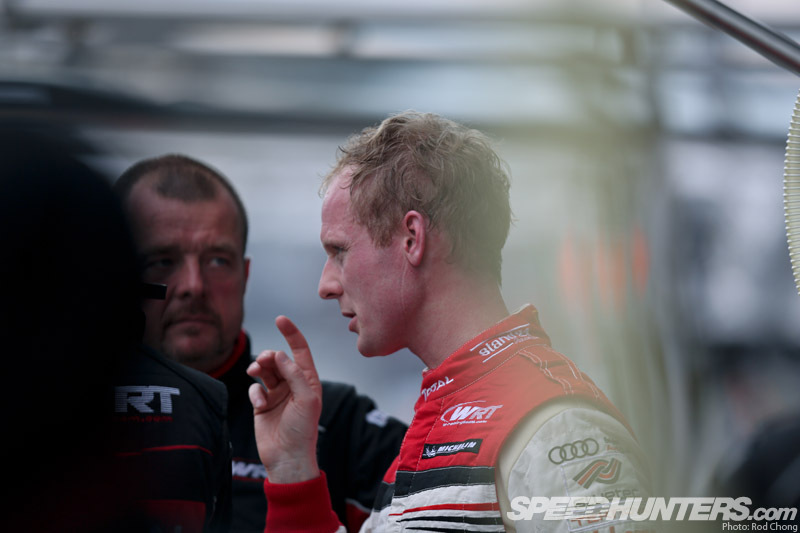 As the session came to a halt, Edward was busy talking to his technicians. And decided it was time to leave the circuit – but not before photographing this strong reminder of exactly what country we are in! 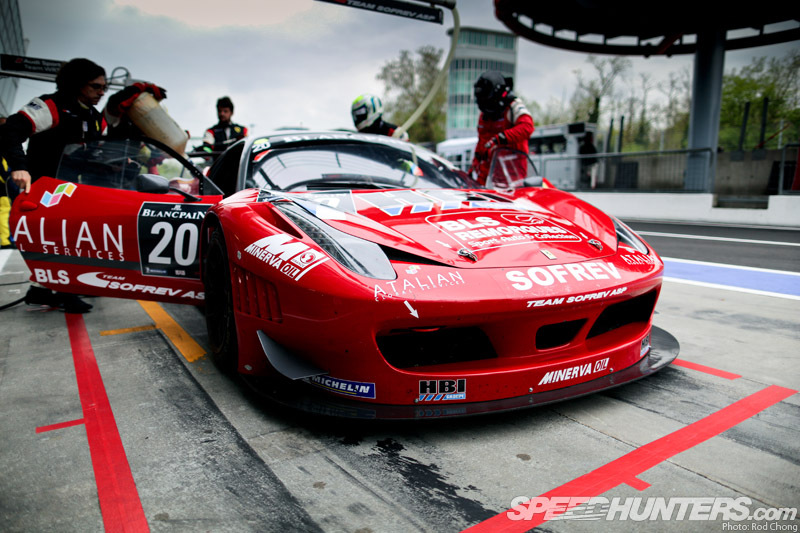 We will be back soon with more stories from the Monza!